An old Book has found its Way Home! It's tightly written pages of parchment bound in leather. It contains many poems, for instance for Wolf-Jakob Stromer's mother or for his wife. Stromer captured aphorisms, today telling us about the sensitives of his generation. He also wrote songs of ridicule against the pope and the catholics. This so-called memorial book is much more than a simple diary because it does not only contain records on Stromer familiy affairs but also personal notes on the political and economical situation of that time. Exactly this fact makes this work so valuable for research. "The reason for it being so important is the fact that we have so few so-called ego-documents", says Peter Fleischmann, the leader of the state archive. "This is the first true record of a private person in the German-speaking part", he continues, "It is very rare that sources speak of something private, something personal." 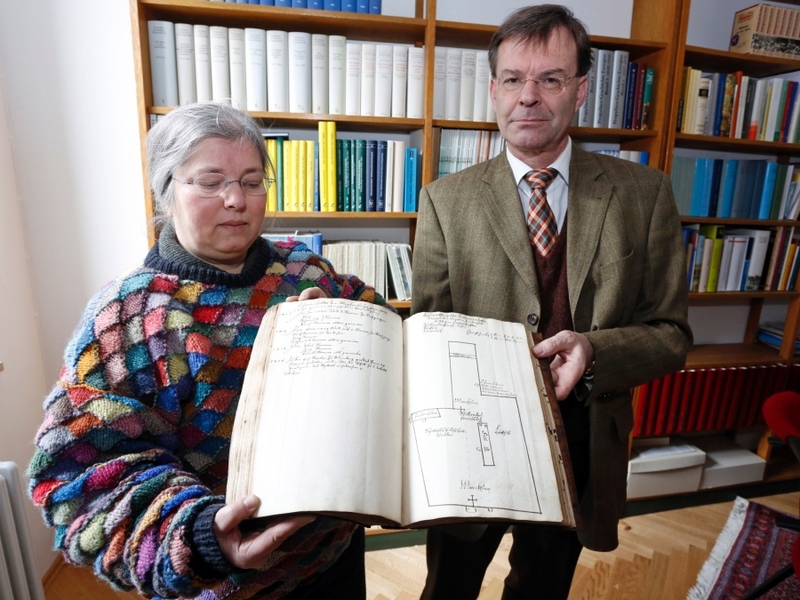 Over 35 years the book had disappeared from the Stromer archive. Now, just by accident, it re-emerged in the library of Göttingen university. Since it still had the inventory number of the Stromer archive, it could easily be allocated. To avoid something like this happening again, the entire Stromer archive is stored in the state archive based on a depot contract. With this, there is limited and controlled access for the public. The late Prof. Dr.Dr. Wolfgang Freiherr Stromer von Reichenbach would have been extremely happy about the re-appearance of this very special book!